Heart sisters Ann and Nancy Wilson’s new autobiography, “Kicking And Dreaming: A Story Of Heart, Soul And Rock & Roll” was published this week. 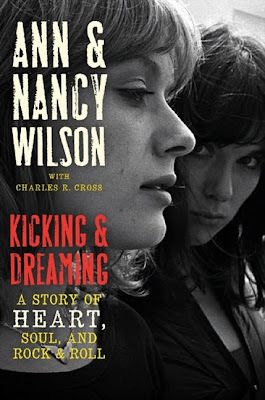 Since finding their love of music and performing as teenagers in Seattle, Washington, the Wilson sisters have been part of the American rock music landscape. From 70s classics like “Magic Man” and “Barracuda” to chart-topping 80s ballads like “Alone,” and all the way to their forthcoming 2012 album, “Fanatic,” Heart has been thrilling their fans and producing hit after hit. The sisters stopped by CBS New York’s The Couch to talk with hosts Carolina Bermudez and John Elliott about the memoir, their history, and some of the unique pressure they felt as pioneering women in rock. Nancy says the pressure is even greater today. “Just because there are more women in the business doesn’t mean it’s become easier for women in the business,” says Ann.